Moving to a new town? Downsizing your home? Transitioning your business? At Safe Storage, we know that life is an ever-changing process. That’s why we designed our business around the needs of our customers. No matter your reason for storing your items, Safe Storage is ready to assist you and ensure things run smoothly. Our Parsonsfield, Maine, facility offers 24/7 entry, personalized entry code access, and wide, well-lit driveways, so it’s easy to retrieve your belongings whenever you need them. 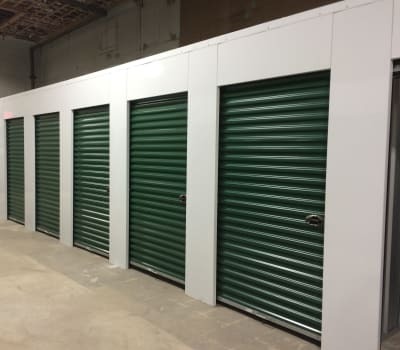 When you rent a storage unit at Safe Storage, you’ll appreciate our convenient location on Route 25. We’re located just down the street from USPS and Kezar Falls Library, so you can easily stop in and pick up a few things while you go about your day. Our professional onsite manager is always happy to assist you, including helping you select a unit, choose packing supplies from our onsite store, or even providing tips for making the most of your self storage unit. Let us know what we can do to help you. Contact us today to learn more about our competitive storage rates and military, student, and senior discounts.